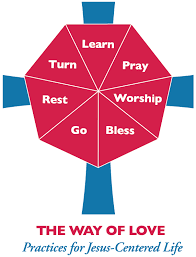 Another initiative that was launched at the 79th General Convention was a “call” from Presiding Bishop Michael Curry for The Episcopal Church to follow “The Way of Love: Practices for a Jesus-Centered Life.” Since that day of its launch, social media has been abuzz with people asking about resources and how to engage with this rule of life. I was blessed to be on the early track of this launch, having been invited by Stephanie Spellers, Canon to the Presiding Bishop for Evangelism, Reconciliation and Creation (the pillars of The Jesus Movement) to join a group of Christian formation leaders in the Episcopal Church to flesh out how this might become a reality and a formation tool for growing disciples. As those of you who are Christian formation folk, you know that when you are given a challenge under a deadline and put in a room of like-minded folks amazing things can happen. With various individuals adding input and encouragement from across the Church, The Way of Love was launched. With this invitation, Bishop Curry named seven practices that can help us grow deeper in our relationship with God, Jesus, and our neighbors as we also learn how to live into our baptismal promises more fully. In today’s world of busy schedules and hurried meals and time together, it is now more imperative that we make and take the time to center ourselves and follow the way of Jesus. This might mean revisioning and reshaping the pattern and rhythm of our daily life––finding a slice of time to center our thoughts on Jesus. Within the pages of The Way of Love for Families you will find ideas to engage your family, leading the way as a parent, grandparent, godparent, sibling, or mentor with children walking on The Way of Love: Practices for a Jesus-Centered Life. 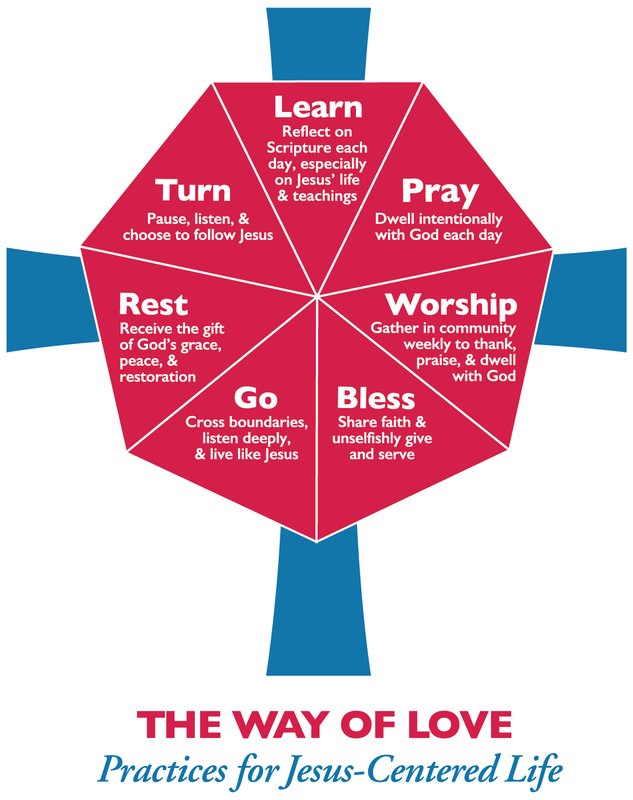 Download The Way of Love for Families I put together with my Church Publishing colleagues. Coming soon – The Way of Love for Youth and The Way of Love for Congregations. In the meantime, check out all the resources Church Publishing offers for you to engage in the practices of The Way of Love here.